Anakin Skywalker gets one last goodbye with Padme in 'Darth Vader' #25 – AiPT! Read our review to get the scoop on the entire issue. 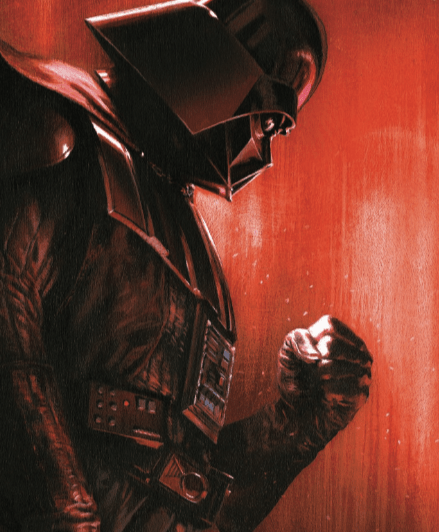 Darth Vader has had a very introspective journey since writer Charles Soule has written him in the Marvel comics. Things get a lot more personal in the latest and final issue of his run, with Anakin coming to grips with his demons on a spiritual journey. As the story arc progressed Darth Vader has attempted to save Padme, finally, after the Emperor promised he could bring her back from death. Alas, things don’t work out when you’re a Sith. After entering a special doorway in his newly made castle on Mustafar he’s able to go to a spiritual realm. Vader, in Anakin form, is attempting to save his long lost love. Can he bring her back even though he’s in some kind of Sith nightmare heaven? It appears when you work in Sith magic, things aren’t quite as they seem. It appears Darth Vader wanted to save his long-lost love, but in an act of final completion, she proved there is no turning back. Darth Vader will never be Anakin again and she will never be alive again. I highly recommend you read the 25th issue in full, which you can purchase digitally today.